One have been commissioned on the prestigious new Rathbone Square development in Oxford Street, London. This mixed commercial and residential scheme will provide 142 high quality apartments and penthouses with luxurious facilities, including a swimming pool, steam room and sauna, wine rooms, media rooms and gymnasium. The £180m development is aimed at the high end of the residential market and aims to create a vibrant new square in the heart of London. Specialist fit out contractor Sherlock Interiors Contracting have commissioned One to undertake BIM deliverables to model and co-ordinate geometric information and apply strict data sets. This will enable the models to be used later within Great Portland Estate’s BIM CAFM system. Principal Contractor, Lend Lease, are leading the BIM effort and have strict protocols and procedures to comply with to prove BIM competence. This in turn, ensures that modelled data integrates seamlessly with the existing project team models. 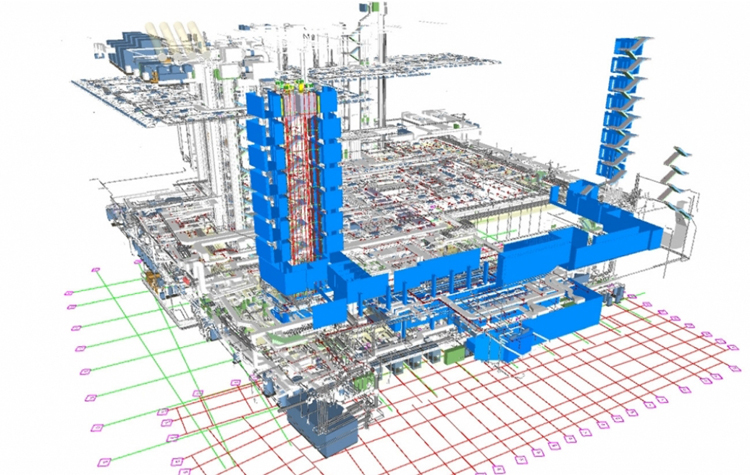 The images above show One’s coordinated package of fit out work (in blue) integrated into the subcontractor federated model. Each modelled element has a completed dataset attached to provide information on specification, location, supplier and part numbers, so that this data can later be harvested by the CAFM system within the Asset Information Model (AIM). One are responsible for detailed 3D coordination with interfacing packages, running clash detection and resolving interface issues, before going into production of fabrication information, extracted directly from the coordinated 3D models. One will then verify the ‘as-built’ form to provide an LOD500 ‘as built model’ and completed data sets, for handover. 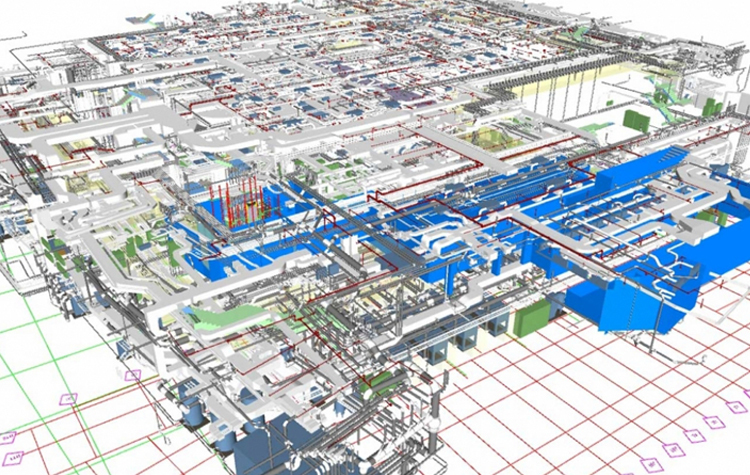 One’s approach to BIM is to interrogate and fully understand the deliverables and then implement robust procedures to generate them as efficiently and effectively as possible. This also enables the specialist subcontractors to ‘up-skill’ and obtain additional benefits from the information such as for 4D (programming) and 5D (cost management), and collaboration within a 3D environment (eg. for comments and markups). The modelled information, due to its “level of detail” (LOD400) and level of information (LOI) provides data rich information for the specialist fit out contractor to easily undertake Quantity Take Off (QTO) straight from the models. Steve Pollard, Director of Sherlock Interiors Contracting, said: “We engaged One due to their methodical approach, and extensive experience in delivering BIM Level 2 projects, with the added reassurance that Jason Whittall is an RICS Certified BIM Manager, and project staff are BIM AP qualified. In order for us to undertake works on this prestigious project, we had to provide BIM deliverables as part of our offer to Lend Lease, and One are undertaking this aspect of works on our behalf to enable us to work in partnership”. Works have commenced on site and the project is due for completion early 2017. For further information, or to discuss your project’s BIM deliverables contact Jason Whittall at One Creative Environments Ltd on jason.whittall@oneltd.com.